Rome’s new mayor is not new to serving our community. He served Rome as mayor pro tem for many years. A local businessman and member of the Rome-Floyd Chamber, Collins became interested in economic development. He was subsequently approached by the City Planning Committee to work with zoning issues. He talked it over with his wife, Faith Collins, chair of the Rome City Schools Board of Education, and prayed about it. He then agreed to serve in that capacity. It was a 90-day appointment and the vote approving his appointment was unanimous. He decided to run for office and was the top vote-getter. Collins wants all the citizens of Rome to get a fair shake. He believes in bringing people together and always wants to do things in a positive way. Further, he wants to even the playing field so that African Americans will have the same opportunities as everyone else. Because he believes it is important to keep working for a better community, Collins wants to foster opportunities for the African American community to keep working toward that goal. That, to him, is what is significant about being Rome’s first African American mayor. He plans to continue to work and lead the citizens of Rome. Committed to serving the citizens of Rome, Collins cherishes this opportunity and deems it a privilege to serve. Currently in his fourth term on the Rome City Commission, native Roman Milton Slack has served since 2008. In the 1960s and 70s, Slack was involved in United Way. When he retired from Sears, several people approached him about serving on the Rome City Commission and so he decided he would. Slack attended Mary T. Banks Elementary School, where Ms. Banks was his first grade teacher. Samuel Burrell was the principal at Mary T. Banks Elementary when Slack was in the seventh grade. He states that Burrell gave him his start. Currently, Slack’s focus is on new business for Rome, and affordable housing. As a native of Rome, he knows the people. 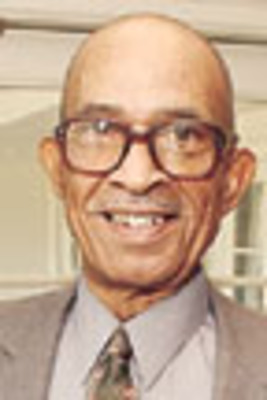 The late Samuel T. “Sam” Burrell Sr. was for many years an educator and administrator with the Rome City Schools. He was principal at Main High School from 1966 until it closed in 1970. He then served as principal at West Rome Junior High School until he retired. This is where many Romans were first introduced to him. Appointed to the Floyd County Commission in 1992, in 1994 he became the first African American elected to the Floyd County Commission. Kind and caring, Burrell made an impact on the community of Rome and Floyd County through his service as administrator, county commissioner, and community leader. He passed away May 7, 2015, and has been truly missed. A lifelong resident of Rome, Fielder was an icon of the community. 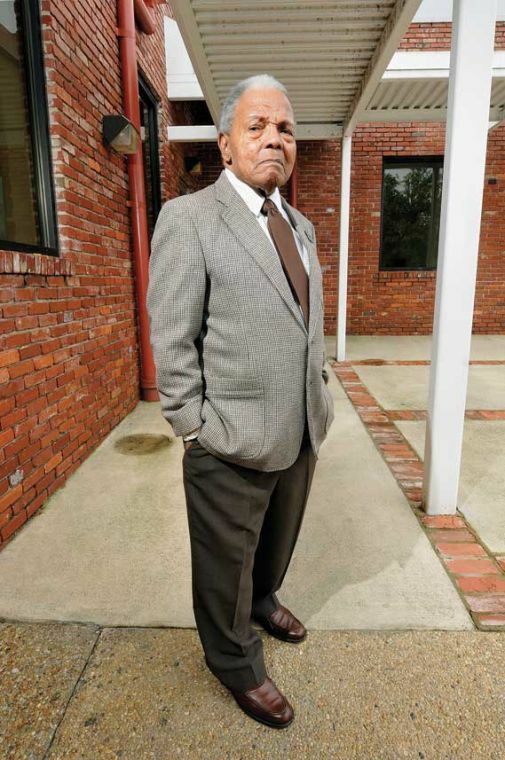 He became the first black member of the Rome City Commission upon his appointment in 1980. He replaced then Chairman H.F. “Ted” Hunter, who resigned. Prior to the appointment, Fielder served on the Rome-Floyd County Recreation Authority, including a stint as chairman. He served on the board of directors for the Rome Chapter of the American Red Cross and the Floyd Mental Health Association. Fielder received numerous awards from the community and the Democratic Party. Having served as a member of the Georgia Municipal Association, a senior citizens’ building was named in his honor. He passed away Feb. 21, 2008, and has been greatly missed. Actively involved in the community, they knew and continue to know the people in the area. These great men mentioned today are natives of Rome. They spent their formative years here and went to school in Rome. We fondly remember and appreciate the late Napoleon Fielder and the late Samuel “Sam” T. Burrell Sr., who have gone before us. The citizens of Rome were very fortunate to have had these exceptional community leaders. Special thanks to Milton Slack for your continued service to the citizens of Rome, and congratulations Mayor Collins! Native Roman Pam Walker is a paralegal and welcomes your email to her at pamterrellwalker@gmail.com.